Courtesy of JACQUELINE A ROMERO, EKB Realty. JUST REDUCED! Priced to Sell! 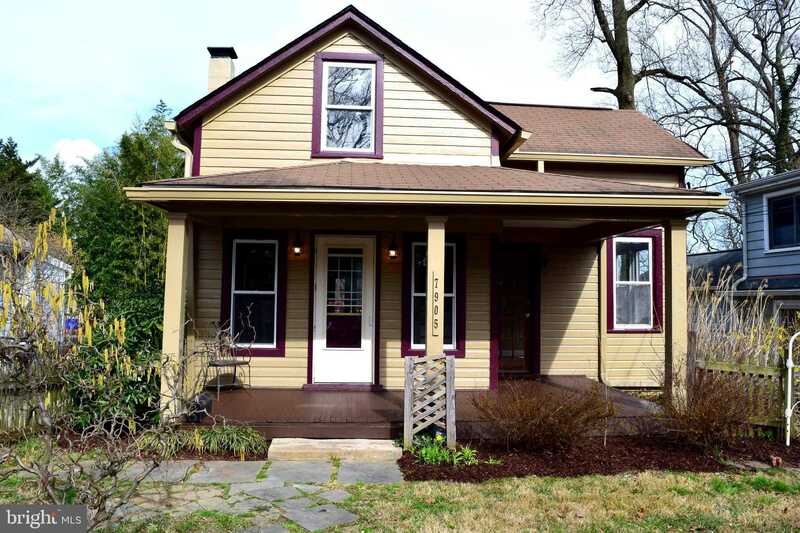 Adorable 1923 bungalow with updates in the wonderful Flower Avenue neighborhood of Takoma Park. Large fenced front yard leading up to your covered porch. Brand-new outdoor light fixtures. Four total possible methods of entry to your new home! Hardwood and slate floors on main level. Gas cooking on main level. Custom shelving in Living Room. Amazing in-law suite/apartment with private entrance in basement. Top level contains a bedroom ready for your new carpet, with built-in shelving nooks and bonus den/sitting/possible nursery area. Upper level has a beautiful claw foot bathtub, believed to be original to the home! Plenty of storage space in walk-in closet.